When talking about disability sports, it is necessary to keep in mind that the term refers to a very broad groups of sports each of which has its own history. To provide a brief history of disability sports, we will take a look at the three main categories of disability sports from the first organised movements to the modern sports organisations and main events for disabled athletes at the international level. Deaf sports have the longest tradition as an organised movement. The first international sporting event for deaf athletes was also the first international competition for disabled athletes in general - the International Silent Games. The precursor of today’s Deaflympics was held for the first time in 1924, only a few weeks after the 1924 Paris Summer Olympics. And with the exception of the war time, the Deaflympics (formally known by this name since 2001) have been held uninterruptedly ever since which makes them the longest running disability sports event. Organised sport for people with physical impairment dates back to at least 1911 when the so-called “Cripples Olympiad” was organised in the United States. However, organised movement really took off only after the end of World War II in the form of promoting sport as a type of rehabilitation for the many injured/wounded war veterans. The key figure in this movement was Ludwig Guttmann, a German-born Jewish doctor who worked at the Stoke Mandeville Hospital in England (he left Nazi Germany shortly before the outbreak of the war). 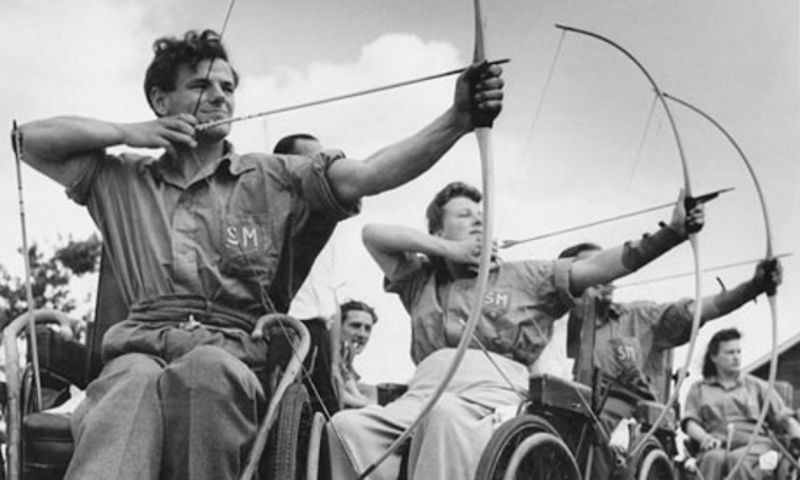 At the time of the 1948 Summer Olympics in London, he organised the so-called Stoke Mandeville Games for the disabled veterans at the Stoke Mandeville Hospital. “Guttmann Games” soon grew into an international competition for disabled athletes and eventually evolved into the modern Paralympics. History of organised sport for children and adults with intellectual impairment dates back to the early 1960s when Eunice Kennedy Shriver (sister of JFK) opened a day camp at her estate in Maryland for children with special needs to be able to play and recreate themselves. Shriver’s effort to facilitate access to sport and recreation to people with intellectual impairment grew into the modern Special Olympics movement and the Special Olympics World Games, an international competition for intellectually impaired athletes which was held for the first time in 1968.